Clearly, your neighbours are all wrong. Only kiddin’.. clearly prices are down. But the real estate salespeople aren’t really a ‘cartel’.. they’re just a group of individuals doing their best to protect their interests by keeping the market turning over. The most likely outcome of any bubble is a reversion to the mean — that is, a return to prices that reflect the long-run mean or average growth rate that existed prior to the bubble. As the various forces that helped inflate a bubble cease to exist (low interest rates, easy access to credit), or reverse themselves (speculative mania turns to fear), prices collapse. One or more external events may also play a role; however, bubbles always contain the seeds of their own demise. Market sentiment in its extreme form is the true creator and destroyer of bubbles. Falling prices typically stabilize around the point where they would have been had prices followed the average growth rate rather than rapidly inflating and then collapsing. In the aftermath of a house price bubble, prices probably won’t return to where they were before the bubble — although they may temporarily overshoot to this lower level. They’ll likely return to where they would have been if there had been no bubble and they had continued increasing at the average rate of growth, a rate which is typically supported by economic fundamentals such as average household income, house-price-to-rent ratio, and the rate of inflation. We can see two historical examples of this phenomenon in the chart above — the Vancouver house price bubbles that peaked in early 1981, and in late 1994. In both cases, a half-decade later, prices had reverted to the mean. I’m able to present a clearer picture of this pattern because I recently discovered some Vancouver house price data stretching back to 1960 (details below). 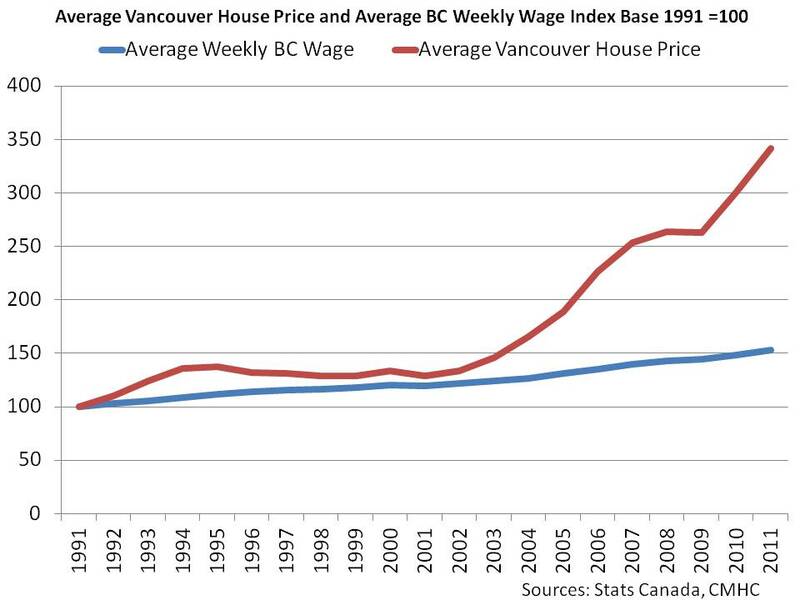 Most commentators in the Vancouver RE blogosphere have been using the Real Estate Board of Greater Vancouver (REBGV) average price chart, which goes back to only 1977, at least in the publicly available version, or the Teranet house price index, which goes back to only 1990. The current Vancouver house price bubble certainly looks epic, in both size and duration. Many people now believe that a) the past decade has been a bubble, and b) the top has been reached and the bubble is now beginning to collapse. If the current bubble follows the pattern of the two previous bubbles, collapsing prices should eventually revert to the mean. So, what is the mean, or average annual growth rate of Vancouver house prices, in percentage terms? Based on the data underlying the chart above, here are the numbers I’ve arrived at, which assume annual compounding. For calculating the growth rate of the current bubble, I’m excluding 2012, because it has the appearance of being the transitional year between rising prices and what could be a long period of falling prices — although no one can yet be certain. ‘Nominal’ means actual price — what someone actually paid at the time they made the purchase — and ‘real’ means actual price adjusted for inflation — that is, with the inflation component of the price in relation to a control or base year factored out. The base year is 2002, in this case, meaning real amounts are expressed in 2002 dollars. The distinction between nominal and real rates of growth would appear to be quite important to the analysis of Vancouver house prices. If we look at only the nominal rates of price growth, we see less than 2% separating the rate for all the years prior to the current bubble, and the rate for the bubble itself. Judging by growth rates alone, we might question whether much of a bubble exists. However, if we look at the real rates for the same time periods, we see a much different picture. The bubble rate of growth is more than double that of the years 1960 to 2001, with over 4% separating the two growth rates. That’s a major difference, especially given the effect of compounding over a number of years. The reason for the seeming discrepancy between the nominal and real comparisons is that the period 1960 to 2001 includes the years of rampant inflation that occurred during the 1970s and early 1980s, an era when the annual inflation rate hit 14% and almost 13% in two separate peaks. That rampant inflation hasn’t been factored out of the nominal house prices for the period. By comparison, the period 2001 to 2011 has had stable and low annual inflation, around the 2% mark. For the bit of prognosticating I’m about to embark upon, I think it makes better sense to use real rates of growth, which remove the distortions caused by significantly different inflation rates, and which highlight price changes more integral to the housing market itself. Based on the data I’m presenting here, I’m going to use 3.62%, the real growth rate between 1960 and 2001, as the baseline for house price appreciation in Vancouver. It’s worth noting that a real growth rate of 3.62% in excess of the rate of inflation is significantly greater than the 0.5% above inflation that I think Robert Shiller has demonstrated for American houses, long-term. (Feel free to correct me if I’m wrong about the details of Shiller’s finding.) In other words, even using the most conservative baseline for Vancouver house price appreciation puts us well beyond most other places in North America. That’s how Vancouver became the city with the most expensive residential real estate in Canada even before this latest bubble began to inflate in 2002. There’s no guarantee that the current bubble will follow a pattern similar to the pattern of the previous two bubbles, or price bubbles generally, but if it does, this second chart shows some possible outcomes. The chart also shows that real house prices are currently 40% overvalued when compared to the 1960-to-2001 mean, and were almost 50% overvalued at the end of 2011. Crash — Reversion to the mean takes 4 years, and occurs in 2015. Over the entire period, real price decreases 22.53% from $762,304 to $590,547. Nominal price decreases 17.11% from $921,625 to $763,939. Current Trajectory — Reversion to the mean takes 7 years, and occurs in 2018. Over the entire period, real price decreases 13.92% from $762,304 to $656,215. Nominal price decreases 2.25% from $921,625 to $900,847. Slow Grind — Reversion to the mean takes 11 years, and occurs in 2022. Over the entire period, real price decreases 0.71% from $762,304 to $756,856. Nominal price increases 22.00% from $921,625 to $1,124,654 (not a typo — read on). These projections assume inflation remains stable over the next decade at approximately 2% a year. So a house price that remains constant in nominal terms from one year to the next has decreased in real terms by approximately 2%. In other words, the house has lost value because it hasn’t kept pace with inflation. Which partially explains the seeming anomaly of some prices decreasing only modestly, or in one case even increasing, while the bubble deflates — the modest decreases are added to by the loss against inflation, and the increase only keeps pace with the 2% annual inflation rate, whereas the mean line is increasing at 3.62% above the inflation rate. The other key factor is that the modest decreases and the increase take place over longer time periods than the decreases in the crash scenario, which gives the mean line, increasing at 3.62% annually (compounded), the chance to catch up to a more slowly deflating bubble line. Almost certainly, the actual unwinding of this current bubble will not be as regular as any of my three posited scenarios. It will likely be a much more jagged affair, in what has traditionally been Canada’s most volatile real estate market. I’m not sure if the head-and-shoulders pattern from the stock market is truly applicable to real estate, but the two previous bubbles certainly have something resembling that shape. A quick, partial crash in the next two or three years, followed by a rebound (the right shoulder) as unwary early vultures pick up houses at what they consider bargain prices, certainly seems plausible — followed by a second leg down, perhaps less steep but longer, as that initial, relatively shallow wave of buyers exhausts itself. One other interesting observation made possible by the second chart: from 1972 onward, Vancouver has experienced a closely spaced succession of residential real estate bubbles. For almost the entire 40-year period, a bubble has been either inflating or deflating, with only a couple of years during which the market actually closely tracked the mean. Which suggests that most Vancouverites have never known a stable real estate market in this city. They don’t know what one feels like. I haven’t studied the real estate markets of other cities so I don’t know if this is the norm or not, but I suspect in many cases it’s not. It may help explain the somewhat neurotic, love-hate relation many locals have with real estate. Like junkies, we’re either floating upward, or coming down hard. There is a crucial consideration that this technical analysis, such as it is, ignores. Even with a reversion to the most conservative long-term mean that can be extracted from the first 41 years of data, houses in Metro Vancouver will still be too damn expensive for average families. I think there might come a point when absolute or nominal prices become so overwhelmingly high that they break the model, even with a mean reversion. I wonder if Vancouver has gotten there. A growth rate of 3.62% above the rate of inflation is probably not sustainable indefinitely. Because it’s a compounding rate, that mean growth line is exponential, becoming increasingly steep. Like an aircraft, it may eventually stall. The growth rate of Vancouver house prices has meant that when this latest bubble began inflating, it was inflating a benchmark house price in 2001 of about $350K, which was already the highest in Canada by a large measure. A reversion to the historical mean may not do it this time around. The entire housing market in the city may need a 50-year reboot that creates a new historical mean that’s a lot lower than the current one. Who knows? When the 1981 bubble collapsed, real prices were chopped in half, and nominal prices weren’t far behind. It could happen again. The worst of that earlier bubble was a quick, four-year spike and plummet, so far fewer people would have been affected than are affected now. The dimensions are so much larger this time that the results of a similar implosion truly would be spectacular. A suggestion I’ve read on several occasions is that Vancouver has been in one long boom of varying intensity for several decades — certainly post-Expo 86. For perspective, I’ve taken the real growth rate for Toronto houses from 1966 to 2001, and from 1966 to 2012 — in other words, excluding and including Toronto’s own bubble — and applied them to the Vancouver chart, using Vancouver’s 1960 price as a starting point. The difference is striking. By Toronto’s standards, we’ve been in a bubble since 1972. I have my doubts that Vancouver’s real growth rate can continue to outstrip Toronto’s by a percentage point or more indefinitely. You’d think that Vancouver mean line would eventually have to lose some altitude. For that to happen, real prices would have to traverse the mean line and stay below it for prolonged periods. In other words, a true crash, and a permanent reassignment downward of the growth rate of Vancouver house prices. In one of the early episodes of The Froogle Scott Chronicles I stated that I’m not even an armchair economist. Let me reinforce that now. I’m not even a plastic-folding-chair economist. I could well have made some blunders in my analysis. If so, I won’t resent having them pointed out by anyone with greater expertise in these matters. Okay, so hold on to your shirts. 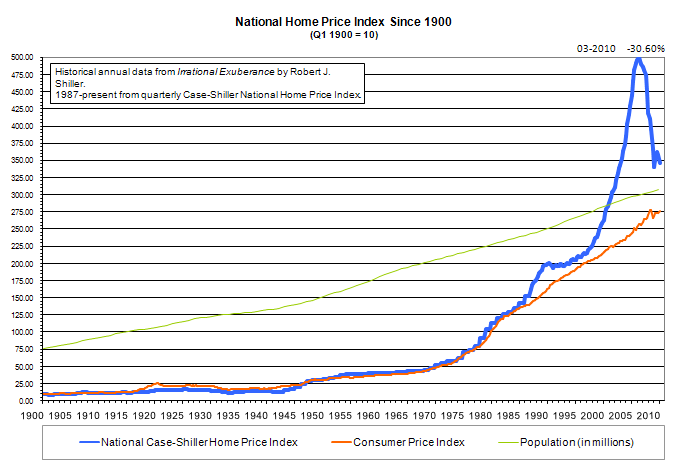 The numbers for 1960 to 1973 come from an article that Ozzie Jurock published in the Calgary Herald: “Price rise history defies naysayers” (July 28, 2007). I consider the argument that Jurock puts forth in the article, regarding the financial return on houses, arithmetically far-fetched. However, I think the house price data is probably legitimate. Being the suspicious type, I compared the Jurock data to the other Vancouver house price data I could find, to make sure that it aligned reasonably, and for the years in common it does. The numbers for 1974 to 2012 come from the Royal LePage House Price Survey, which is referenced by the Bank of Canada, and UBC’s Centre for Urban Economics and Real Estate, so I’m assuming the data is valid. I followed the BOC and CUER practice and averaged the prices for Royal LePage’s Detached Bungalow and Executive Detached Two-Storey categories, which probably approximates the REBGV’s Detached Benchmark category. And I averaged prices for all municipalities in Royal LePage’s “British Columbia, Vancouver Area”. The Jurock data continues to 2007, but beginning in 1974 it mixes houses and condos, so I switched to the Royal LePage data, which luckily begins in 1974 — although it is somewhat spotty in the earlier years. This final chart shows how the various data sources align. For the REBGV Detached Average data, I harvested what I could from REBGV news releases. 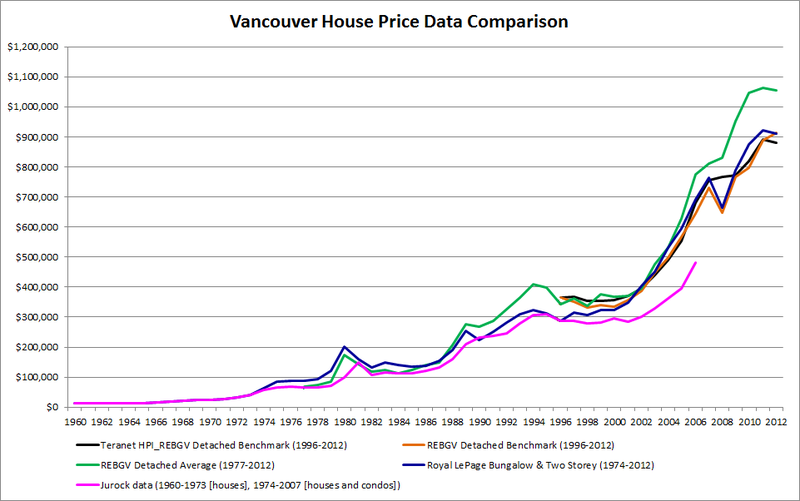 For years prior to 2001, I estimated prices using the REBGV Residential Average Sales Prices chart. All numbers are for December of each year. As an additional check, I included the REBGV Detached Benchmark, and I also applied the Teranet HPI to the Detached Benchmark, using the 1996 benchmark price as a starting point. As you can see, all lines are strongly correlated, with the exception of the more recent years of the average line, skewed higher by the stratospheric prices at the top end of the market, and the more recent years of the Jurock line, which mixes houses and condos. Single family home and condo prices have increasingly diverged in recent years, so mixing in condos pulls the line lower. In general, I find searching for Vancouver house price data on the web a frustrating experience. I’m not a conspiracy theorist, but I do get the sense the local real estate industry releases only the data they want to, and controls the vast amount of information at their disposal very carefully. If anyone can point me to other sources of Vancouver house price data, I’d be most appreciative. For example, I haven’t been able to find the MLS HPI and average price data going back to 1980 that Ben Rabidoux, and Kevin at Saskatoon Housing Bubble, often use for their charts. Things can go missing from the web, so I’ve replicated the data from the Jurock article below. I’m assuming other commentators may want to include it in their own analyses. The year 1991 was missing from the data, so I averaged the prices for 1990 and 1992. – The e10 data still only goes back to 1960. 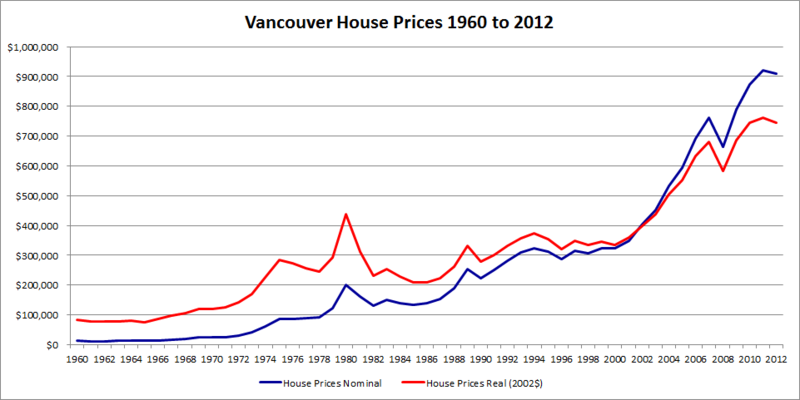 If we had Vancouver house price data for the entire 20th century, what sort of trend line would emerge? That the average price for a house was only $13K in 1960 would suggest that the trend line was probably considerably less steep in the first half of the century. – Did something start to happen in 1972 that has been continuing ever since, causing at least a portion of the baseline elevation? The thing that comes most immediately to mind is that the first of the boomers began hitting the earliest of the prime house-buying years. 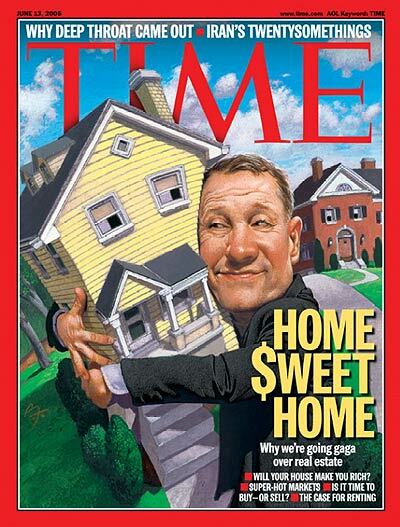 Forty year later, the last of the boomers, people our age, are perhaps now exiting the last of the prime house-buying years. – Even bears would have to agree that the fundamental nature of Vancouver has changed. Not an “it’s different here” argument, but rather that Vancouver has shifted from being a resource-economy-based provincial outpost to being an Asia-Pacific-facing metropolitan region of a certain magnitude. World-class or global city? No. But certainly no longer a provincial backwater, either. Which means the trend line for house price appreciation for modern-day Vancouver should probably be compared to other cities of equal stature, not to earlier-times Vancouver. Froogle Scott has sourced earlier price data, and given us a welcome analysis and discussion of the possible targets of a price reversion. The trend-line derived from data as far back as 1960, and the comparison with the long term Toronto price trend-line are healthy food for thought. If prices do ‘revert to the mean’, to which mean do we expect them to revert? 2. Trend-line determined by longer-term 1960-2001 rate of price increase (3.63% p.a. real). 3. Trend-line determined by nominal prices rising at the same rate as long term wage inflation; little more than 0% real growth. Trend-line #1 is the bullish case, where the very large annual gains of the last ten years continue indefinitely. By this logic, the current ‘correction’ in Vancouver RE prices would be argued to be over. We’d say at the outset that this represents particularly wishful thinking from those ‘long housing’, that 7.8%-real p.a. increases are preposterously large, and that we will soon find out that rate is far from sustainable. The most pertinent debate that emerges from Froogle Scott’s analysis is whether we’d expect long-term support at the longer-term 1960-2001 trend-line, at a rate of 3.63% p.a. real. Even though 3.63% p.a. real growth rate may seem low to participants who are now accustomed to the 7.8% real p.a. increases of the last decade, I think we have to question whether a long term 3.63% rate is in any way typical, normal, or sustainable. 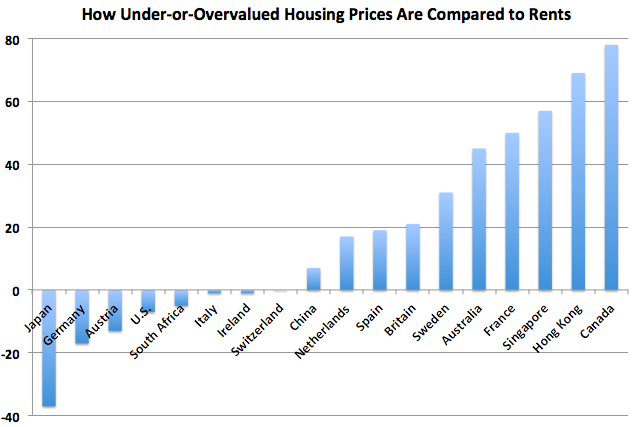 At what rate should we expect real prices in any given city to increase over the long-term? Shiller’s very long term analysis suggests that housing prices should revert to long term means determined by long term wage inflation; by his findings, about 0.5% real growth. Measures like income growth, population growth, and GDP growth are likely the best indicators of expected long term RE price growth. The lack of convincing answers to these questions, as well as other factors concerning asset price bubbles that are mentioned below, lead me to believe that prices will go a lot lower than support determined by the 1960-2001 3.63%-real trend-line level. It may be no coincidence that the nearby support as calculated using this 3.63%-real trend-line is also soon to be in the vicinity of the early 2009 price lows, those that resulted from the quick 15% pullback of 2008-2009. I have previously predicted there would be support at those levels for technical and psychological reasons (which technical analysis aficionados will know to be the same thing). I’d expect a temporary increase in buying interest at those prices, as it is likely that a group of prospective buyers will be expecting a floor at the 2009 lows. It wouldn’t be at all surprising to therefore get some support at those levels, and perhaps a bounce. This would result in the ‘right shoulder’ to which Froogle refers. I’d then expect that such support would fail in the months thereafter. Prices in Vancouver have very clearly overextended from those determined by fundamental underpinnings. 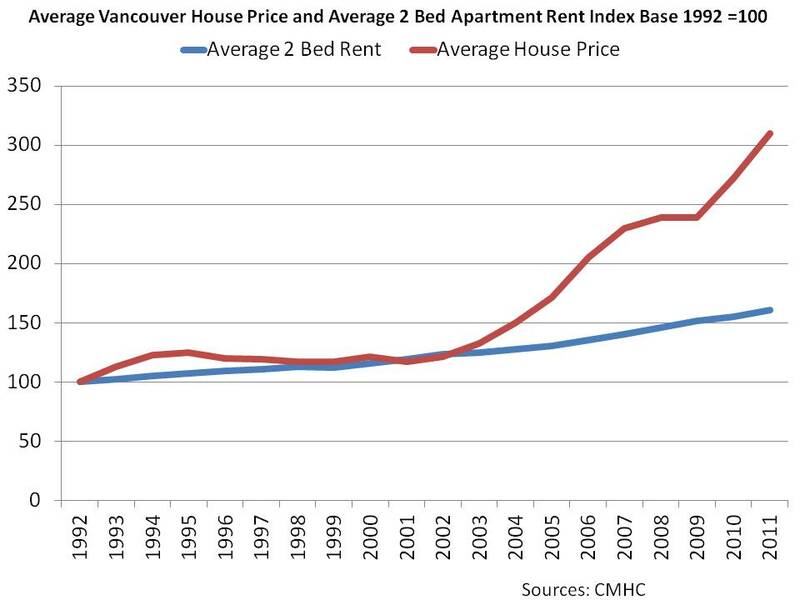 By price:rent and price:income ratios, Vancouver RE was two to three times overvalued at the peak. The average home price is more than 10 times the average income, where international standards judge 3.5 times average income to already represent an overpriced market. As Froogle puts it, even with a 22.5% drop, “houses in Metro Vancouver will still be too damn expensive for average families”. The thing is, no speculative mania ends with such a scenario. In fact, if anything, one would expect that the price correction will take values to levels where families can afford to buy. Long term sustainable prices should be at levels determined by rental yield, plus a modest ownership premium. Vancouver will never be cheap, but it will be a lot less expensive than two to three times fair value. Some people would be pretty miffed by a 22.5%-real price pullback. But ‘some’ and ‘miffed’ aren’t extreme enough words to herald the end of a decade long mania that has doubled or trebled prices. If such a modest pullback were to represent the end of the mania, that would mean that market participants would still have been rewarded with years of 3.63% per annum growth, over and above the rate of inflation. All this when fixed income rates have been very low. The point is, this would be a mere rap on the knuckles, and speculative manias always, always, end with holders being punished more than that. Manias resolve when speculation is completely ‘wrung out’, and a good proportion of participants are exhausted and disgusted. The bottom arrives with the proverbial ‘whimper’. After such a large and broad mania, sentiment will have to get particularly poor before we hit a final trough, and 22.5%-off simply won’t do the work necessary to achieve that goal. Obviously, we can’t know with any certainty what trend-line we’ll revert to, or what the sustainable rate of price growth for Vancouver RE will end up being. 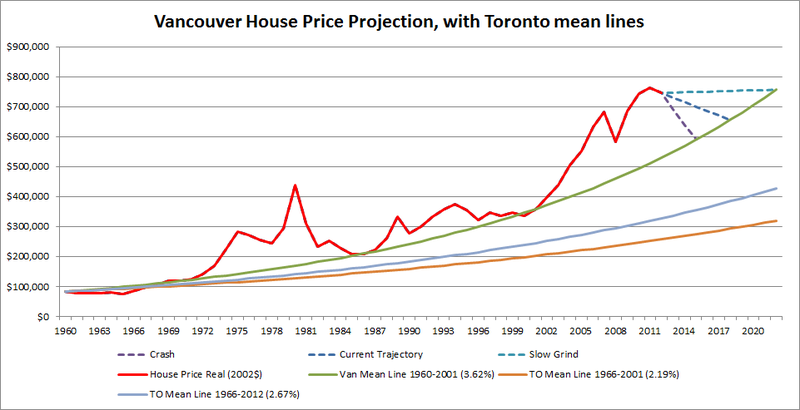 Our best guesstimate is that Vancouver RE will find a long term trend-line below the 3.63%-real p.a. growth, but above the 0.5%-real predicted by Shiller. This still represents a very broad range, and consequently is not of much use in predicting price targets. Population-growth, income-growth and GDP-growth suggest that we’d quite likely reverting to a more modest 2%- to 2.5%-real long term growth in RE prices. That might not sound like much of a difference, the difference between 3.63% and 2%-2.5%, but it actually has profound effects on price targets: support determined by long-term 2%- to 2.5%-real growth would require prices to drop by about 55%- to 65%-real from current levels. (a) Whatever trend-line ends up being valid, we’d expect there to be overshoot to the downside to produce the final bear-market trough. (b) Froogle asks in correspondence: “Did something start to happen in 1972 that has been continuing ever since, causing at least a portion of the baseline elevation?” We know that gold-bugs are going to be hopping up and down on hearing this question, eager to point out that Nixon closed the gold window in 1971. CPI began to rise at that point (see US chart below). But why should real prices start to rise at an even greater rate? The argument would be that there may have been hidden inflation for some assets. In other words, has there been a change due to ‘non-headline’ inflation of hard assets? This argument would still have to explain why prices have run so far ahead of rents. (c) Concerning the argument that something may have changed about the way the world sees Vancouver; that Expo and the Olympics and other such forces moved Vancouver from a sleepy provincial port to a 3rd tiered city in global terms, and that such change merits RE price increases. If this were the case, why wouldn’t rents have increased at the same rate as prices, to reflect the argued increased desirability of the city? (d) In the discussion of the 2010 ‘Fives Charts’ post at VREAA, commenter ‘Best Place On Meth’ stated: “I’m wondering if the entire past quarter century [of RE price growth] has been an aberration.” Indeed, it is even possible that the last half century could represent an aberration. Shiller would suggest that this could be the case (and would likely also point out that such periods of price distortion come and go over the centuries). Did our bubble actually start much earlier than 2003? Does the 2001-2012 spec mania action just represent the last two or three stages of a larger bubble blow-off, as the curve became steeper (2001) and steeper (2003) and steeper (2006; 2009-2011)? “Jason and Maria are young thirtysomethings who, like most, lust for a house. Four weeks ago they did something they instantly regretted, which this time had nothing to do with blue berries or udder cream. Per usual, they spent Sunday going to open houses in and around their Kits hood in Van, then fell in love with a place listed just under a million. Of course they couldn’t really afford it, but that never stopped coursing hormones. By the next night they’d contacted the listing agent, drafted an offer and submitted it. The deposit was $15,000 – part of a downpayment they figured would be $50,000 – and they handed over a cheque when the realtor asked for one. Make it certified, he suggested, since it shows you’re serious. They did. Of course you should walk, silly hormonal, self-destructive, irrational people, I said, letting my feminine side show through. Just tell the agent to stop payment on the deposit cheque before it’s cashed and before the vendors have a chance to sign back. Thanks for all this, Matthew. 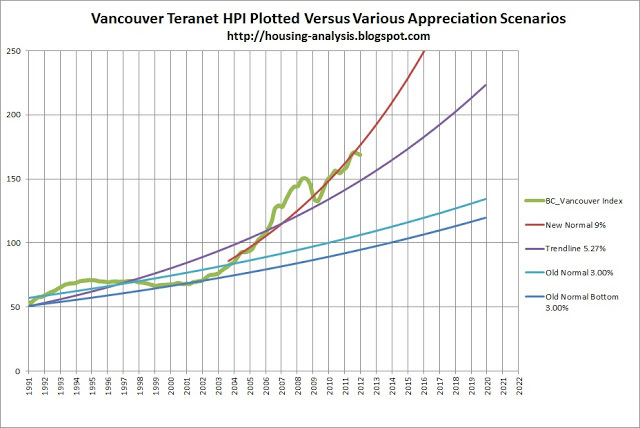 Vancouver was indeed already locked in the jaws of a speculative mania in real estate by 2006. Matthew Klippenstein blogs at ‘Eclectic Lip‘. Posted in 09. Delaying Buying, 10. 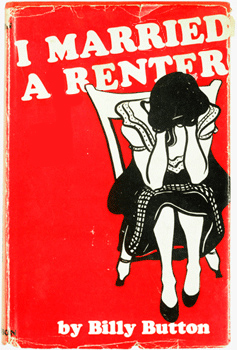 Demoralized Renters? ‘The Vancouver Real Estate Market: Booms Bubbles and Busts’ (saskatoonhousingbubble, 25 Jan 2013). Take a look at the entire article at the site. Thanks for the analysis and the post, Kevin. “Canada has a new worthwhile initiative. After years of booming prices, that bastion of politeness north of the border is looking to avoid a catastrophic housing bust for something more, well, boring. Initiatives don’t get more worthwhile, and perhaps not more difficult considering Canada just might have the biggest housing bubble in the world right now. “..by keeping rates where they are and slowly tightening mortgage requirements, Canada hopes to engineer a more gradual price decline that won’t set off a vicious circle. In the best case, prices wouldn’t fall, except below the rate of inflation, so that real prices decline without hitting household net worths. This strategy is hardly unique — China has done the same the past few years — but it has the very Canadian name of “macroprudential regulation”. Yes, we have a big RE bubble. Noteworthy, again, for the mention in the international press. It is our considered opinion that a soft landing, particularly in markets such as Vancouver’s, is an impossibility. Our market has been completely dependent on rising prices to draw in buyers. Stagnant or falling prices will beget falling prices. Yes, that’s a circular, self-reinforcing effect, and that is why the downdraft, once established, will be so powerful.